Since changing the bait and feeding policies, thinning out the unwanted species and some smaller carp and introducing the annual chalking programme, the growth rates have been nothing short of phenomenal with multiple new fifties coming through in both lakes and so many forties now that we have actually lost track of them. In addition, many anglers have commented on the amazing condition, colours and overall health of the carp these days. Many things in fishery management take time and the results we are seeing now are really only just the start of what we hope to achieve on the complex. 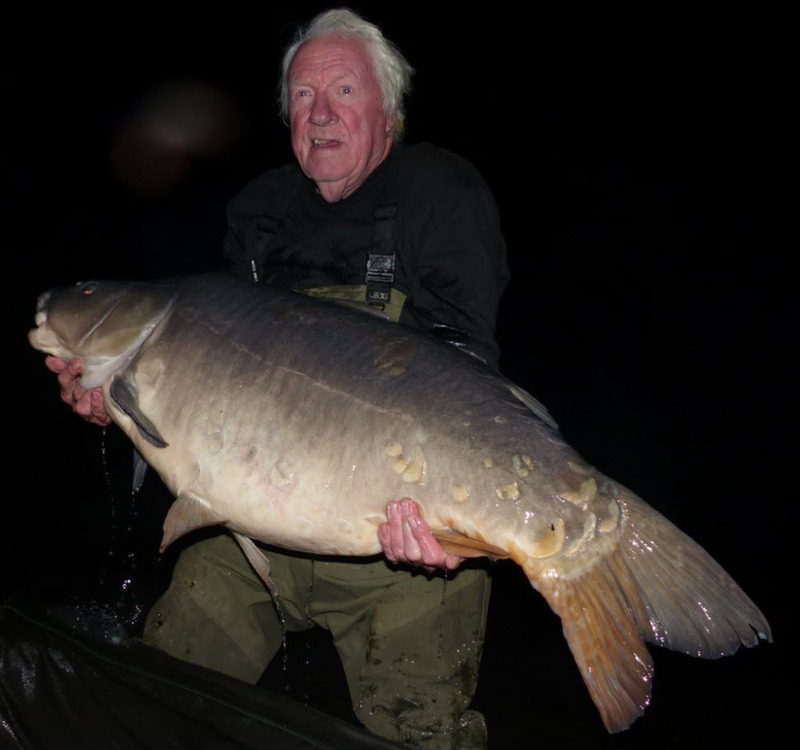 There is now huge head of fish in the 40-70lb bracket in both lakes and the future of the complex is very exciting considering the potential of these carp. As expected, as the seasons go by and the changes we have made take more effect, the lakes have become a little more tricky. The natural food has really exploded in availability meaning that the carp have more choice these days which makes things more challenging. These factors mean that bait choice will become more important than ever. 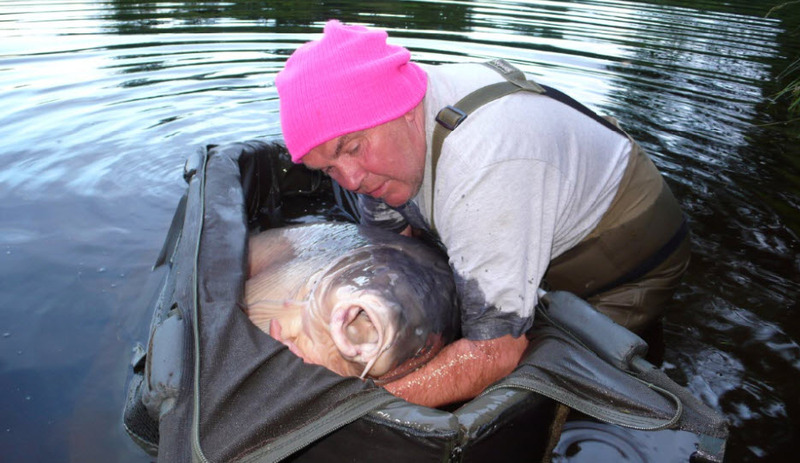 In summary we will continue to develop the lakes as extremely ‘big fish’ waters suited to the experienced carp angler who appreciates challenging fishing for very big carp. 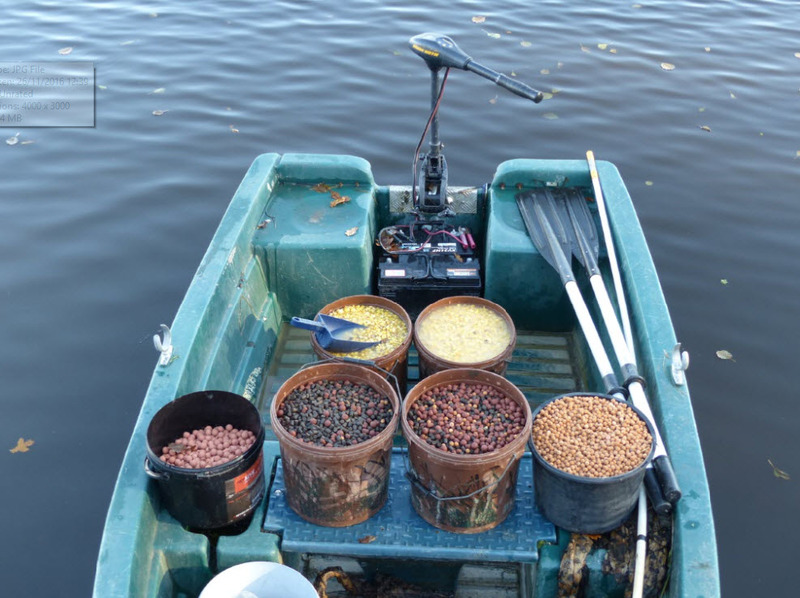 As usual we are feeding the carp throughout the winter on both lakes with the usual mixture of maize and wheat in combination with high protein, low oil pellets from Coppens. 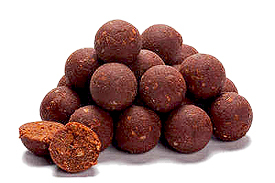 Before we open for the new season we will again start to include our boilies in the feeding program as well. One of the most important aspects of running a carp fishery is to ensure that what the fish eat is nutritionally as good for them as possible. Just like us, their health, ultimate size and life expectancy depend on this. The changes made over the last couple of years have led to the weight gains and overall heath of the fish that we see today. As many people will know, having spent over 35 years fishing for carp and being almost obsessed with bait, I am a great believer in HNV baits. Time and time again, when applied correctly, they out-fish everything else. The key to unlock some of the hardest waters I ever fished was almost always HNV bait. It can make difficult carp suddenly look easy. Lac Serreire and Badgers Holt are no different. HNV baits are by far the most successful baits used on the complex – Nothing else comes even close. We introduced our Serreire Crayfish & Squid boilie range in 2015 and to say that it was successful would be an understatement. This is an old-school, extremely high quality fishmeal HNV boilie and, as usual with this type of bait, the more that went in to the two lakes the better it became. It certainly out-fished every other bait used in 2015 and 2016 and many hundreds of kilos have now been eaten by the carp in each lake. It will continue to produce a ton of carp in 2017! For 2017, these freezer boilies will be available on-site in two sizes; 18mm and 15mm along with matching wafters, pop ups and glug. To provide anglers with more choice in 2017, we decided to add an additional boilie to the range of baits available on-site. During 2016 I started discussions with Mark Lycett who owns the bait firm Custom Bait Services. Mark is also extremely passionate about HNV baits and I had been aware of his Fenspice bait for years. Fenspice has been around since 2005 and was a progression on from the original Red Baron range that was first formulated in 1992! So this bait has been around for very many years quietly doing the business for those in the know! The refined milk protein content is rich in amino acids, the fishmeals add further protein, taste and oils and the pre digested fishmeal is a very important part of the bait as it is 80% soluble. 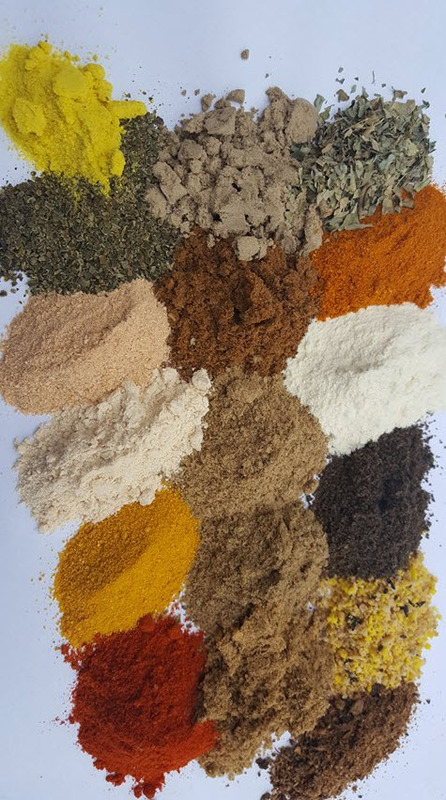 The spices are used to enhance the taste of the bait and they also contain various substances that are good for the carp’s health. Kelp adds taste alongside vitamins and minerals. The krill part of the bait is there because of its attraction properties, it also contains a large spread of amino acids and adds buoyancy to the bait which is very useful on Lac Serreire due to the silt. The krill liquid is a highly stimulatory product. It is rich in taste and, like its powdered counterpart, is full of amino acids. Insect meal is added because carp love it and it’s very rich in vitamins and minerals. The really special part of the bait is the high level GLM/Liver combination. 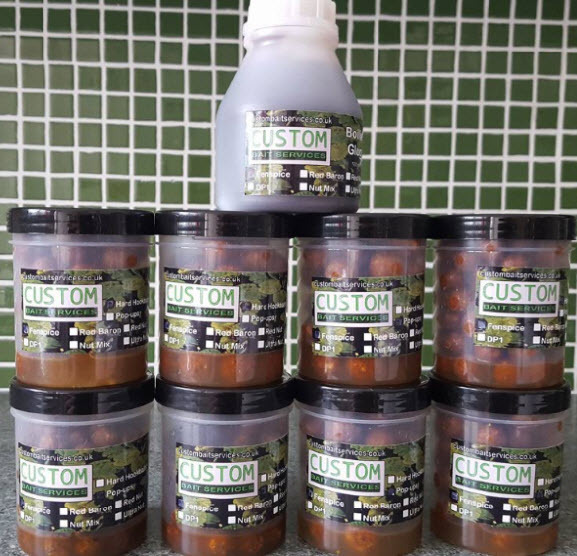 Custom Bait Services have used these two products since the 1980’s and make no mistake they are at the top of the tree as far as big carp attractors go. Two very important things to be aware of with these products are the levels needed to be at the optimum amount and, very importantly, the two of them need to be the highest quality available. To finish the bait off nicely, a blend of essential oils and Custom Baits’s own spice liquid are added. A little red salmon oil is added as well to add a further lipid source. 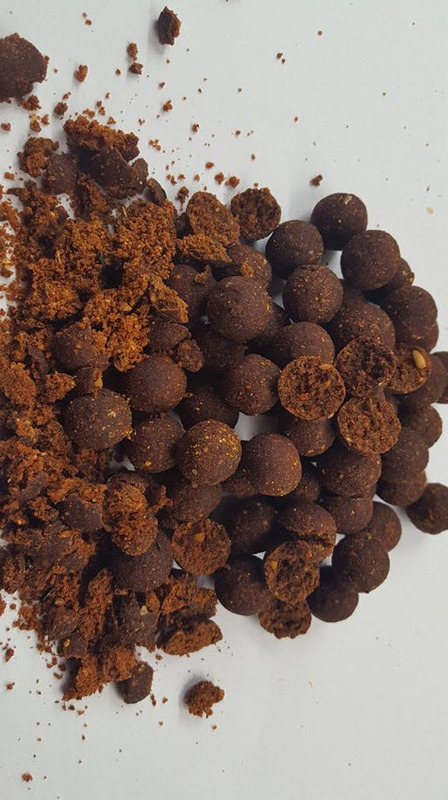 Specially for the Serreire ‘customised’ version of Fenspice, two secret additional ingredients are added; one to further enhance the nutritional profile and the other to make the baits harder than standard due to the nature of the fishing on the complex. For 2017, these freezer boilies will be available on-site in two sizes; 18mm and 15mm. Matching 16mm hard hook baits, pop ups in 12mm and 16mm (white and natural) and glug will also be available in the range. An interesting additional option available will be cured hook baits which are especially effective in the spring time due to the increased salt and mineral content that carp love at this time of year. During testing of the Serreire Fenspice by several anglers in 2016, multiple fish from both lakes were landed even in very tough conditions. Then after we closed, in just a handful of nights fishing in extreme cold conditions this bait produced two fifties, a mid-forty and a thirty from Badgers (one of the fifties was actually played under the ice and netted through a hole in it) and a mid-forty and two upper-thirties from Lac Serreire before the lakes froze over completely. 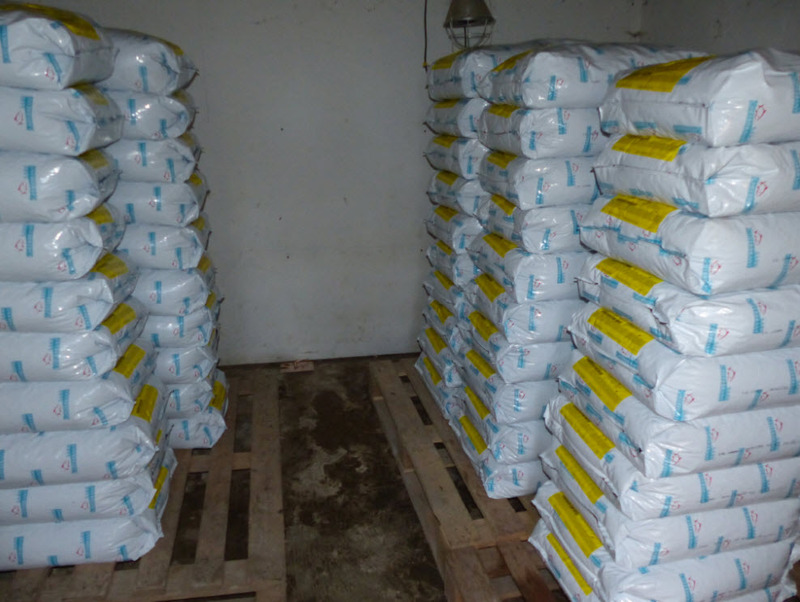 In 2017, we will continue to have Coppens pellets available on-site. 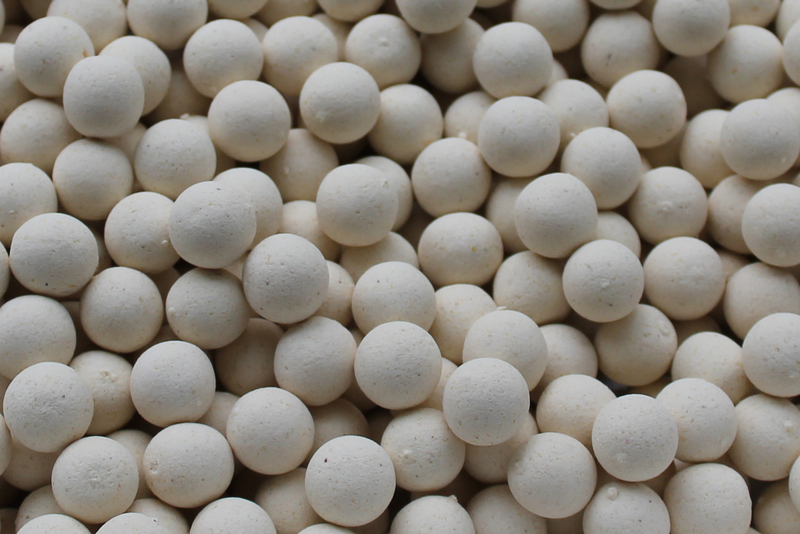 These pellets in combination with the boilies worked incredibly well the last two years. These are the best carp pellets that we can source and are nutritionally perfect for the carp. The carp are fed these pellets so often that they have become accepted as a natural food source. For advice on baits for your trip to Lac Serreire or Badgers Holt, please give us a call or send us an email and we’ll be happy to help. We have plenty of bait in stock at all times which is guaranteed to be attractive to the carp, cost effective and avoids the need for the angler to transport frozen bait. Finally a reminder that shelf-life preservative based baits are not allowed at the complex. In the last month we again trimmed all the bushes and trees around the outflow corner of Lac Serreire and removed most of the underwater branches. We also cut out some of the trees on the island as they were getting too large for the soft ground to support. During the rest of the winter we will be removing a lot of the leaves and branches in the channels around the island to increase the depth in this area. We would like to remind all anglers that only barbless hooks are allowed and we do not accept barbed or micro-barbed hooks with crushed down barbs. If required, we have barbless hooks available on site. Please also note that no leaders of any type are allowed on either lake. The mainline must run all the way through to the lead-clip and at least 50cm of rig tubing must be used on the mainline above the lead-clip. These decisions were taken in 2015 based on a number of tethered fish and the fact that we consistently found that some anglers were still using unsafe rigs or snapping their line due to a combination of placing rigs too close to snags/lilies, poor bite indication and incorrect playing of fish in these conditions. The number one cause of lost fish on Lac Serreire is placing rigs too near to lily pads or snags and not understanding what fishing ‘locked up’ really means. Please ask for advice if you are not sure. To reduce line breakage, we recommend line of 18lb (0.4mm) breaking strain. As an absolute minimum, line should be at least 15lb (0.35mm) breaking strain. Since most anglers use bait boats and don’t cast, the thicker and stronger lines have no disadvantages, but will definitely result in less fish being lost. 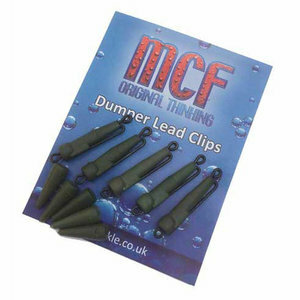 For a very efficient setup that will catch loads of fish in both lakes, we recommend the use of the excellent MCF ‘dumper’ lead-clips which are available on-site. These clips eject the lead easily if a fish is snagged, but reliably retain the lead at all other times. Not only the carp benefit from these rules, but less fish will be lost which is better for everyone. Because the weights of the fish have steadily been increasing, we would like to remind all anglers to bring a set of scales that weight to at least 85lb (40kg). 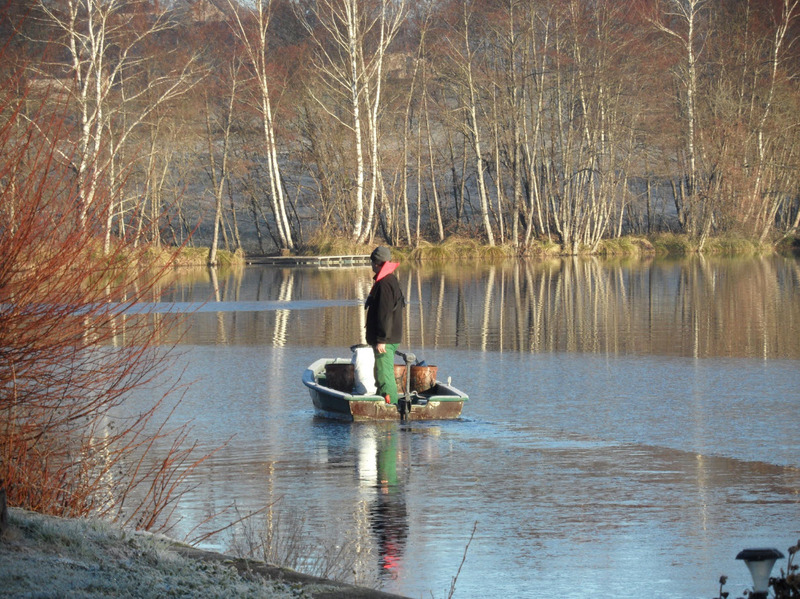 All photos of carp from both lakes, irrespective of size, must be taken only in the water. Please remember to bring a set of chest waders. 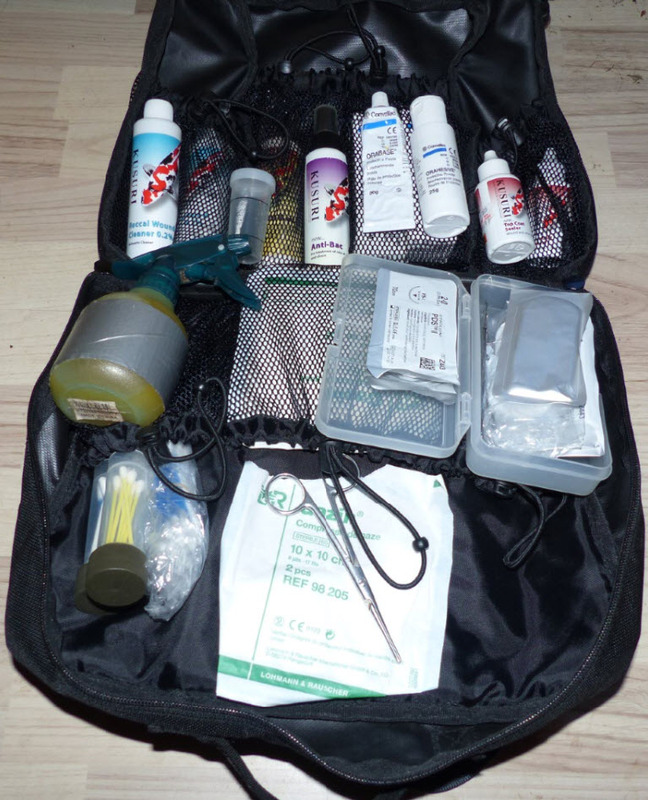 We have carried out a lot of research into the most effective ways to treat any damaged fish and we now have a very comprehensive carp first aid/care kit available on site. We can treat most things including mouth damage, ulcers, suturing of split fins, lifted scales, cuts, etc. The products used are quite specialised so we are available 24/7 to treat any damaged fish – Just come to the house at any time and ask for help. As always, we will be on hand during the season if you need any advice when planning your trip or during your time here. As a reminder, on Saturdays the arrival time is 1pm and not earlier. We really need the time before 1pm for cleaning, grass cutting and maintenance. Thanks for your understanding. Please also note that we do not allow children under the age of 16 on the complex. We look forward to seeing everyone who is booked during the year ahead.